Gorgeous Derek Jeter signed card, the card itself is Nm-Mt and in terrific condition. 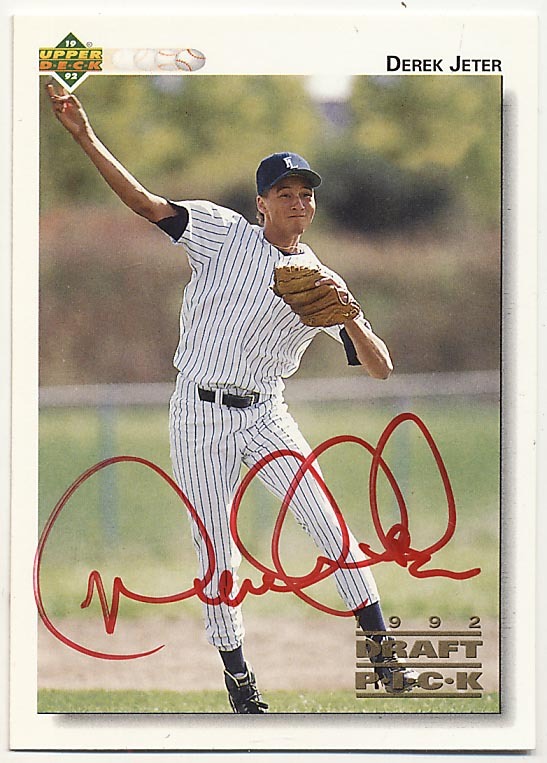 This is special as it has a huge and absolutely spotless pre-Rookie Derek Jeter signature. Signed in Mint red sharpie ink, this is as good as it gets for a Jeter from this era. Fresh to the hobby, true vintage signed Jeter items like this will always be very desirable because his style of signature changed so much in later years. JSA LOA.